April 15, 2019 Optimism Remains Despite Soft Start to Spring Housing Market The Greater Lehigh Valley REALTORS® (GLVR) reported March data showed a soft start to the spring selling season. April 08, 2019 Borough of Emmaus Adopts Sewer Lateral Ordinance On January 21, 2019, Emmaus Borough Council adopted Ordinance No. 1185, requiring testing, inspection, repair, and replacement of building sewer laterals for all real estate transfers within the Borough of Emmaus. The ordinance takes effect on April 21, 2019. 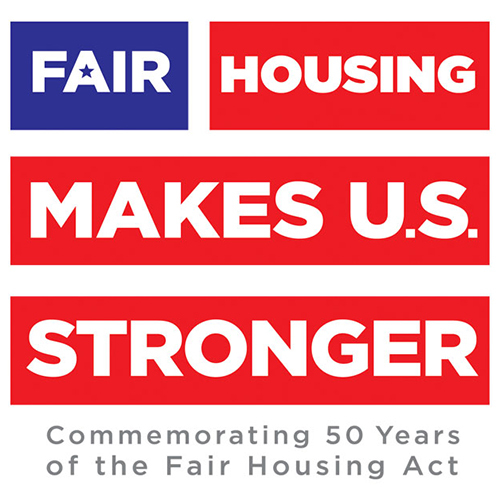 March 27, 2019 NAR Backs Fair Housing Act Change Amendment would add protections for sexual orientation and gender identity. March 25, 2019 PAR Capitol Report Gives Legislation Update The PAR Capitol Report gives an update on the First-Time Homebuyers Savings Account legislation, a carry-over CE bill, and Private Road Act legislation. March 19, 2019 The Renaissance of a School District How Bethlehem Area School District re-branded itself to "Ignite, Encourage, Empower" its students. 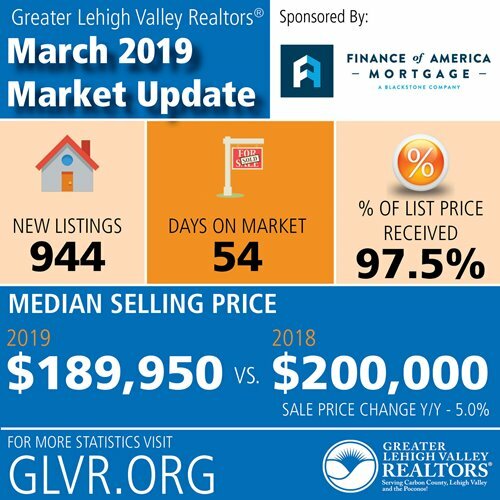 March 12, 2019 Spring Market Enthusiasm Begins as Weather Stalls Some Home Buying and Selling Actions The Greater Lehigh Valley REALTORS® (GLVR) reported February data showed that some impressively cold, rainy and snowy days stalled some buying and selling actions. February 25, 2019 First-Time Homebuyers Savings Account Legislation Passes the House The First-Time Homebuyers Savings Account program legislation was voted out of the House on Thursday, February 21. 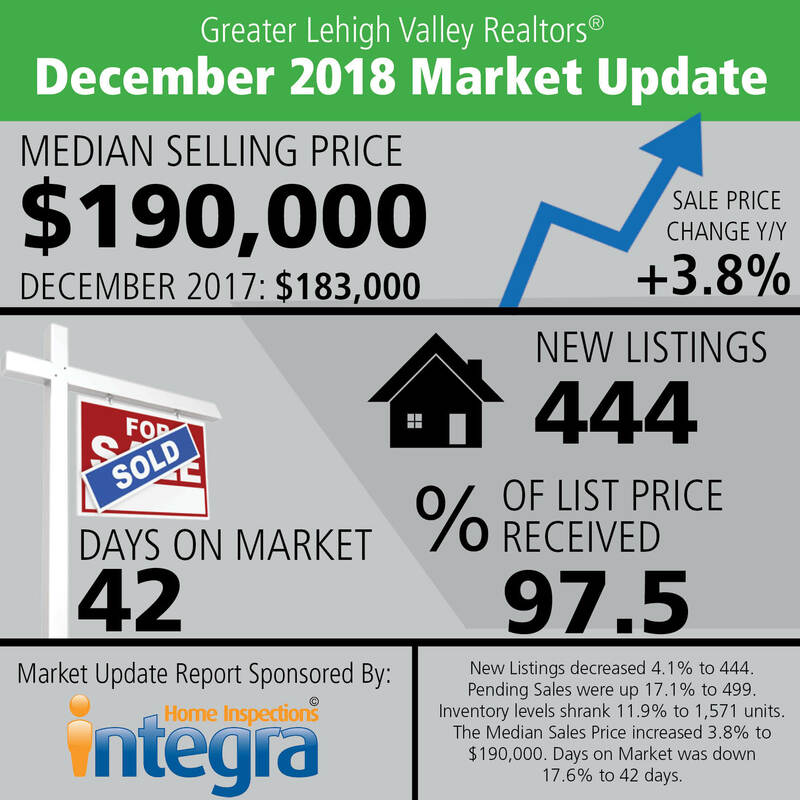 February 20, 2019 Greater Lehigh Valley REALTORS® Release 2018 Annual Market Report As the premier source of real estate information in the Lehigh Valley and its surrounding communities, the Greater Lehigh Valley REALTORS® (GLVR) is pleased to provide an in-depth report on the 2018 local housing market. February 14, 2019 Winter Brings a Chill to Local Housing Market The Greater Lehigh Valley REALTORS® (GLVR) reported January data showed a flat – but stable – start to 2019. 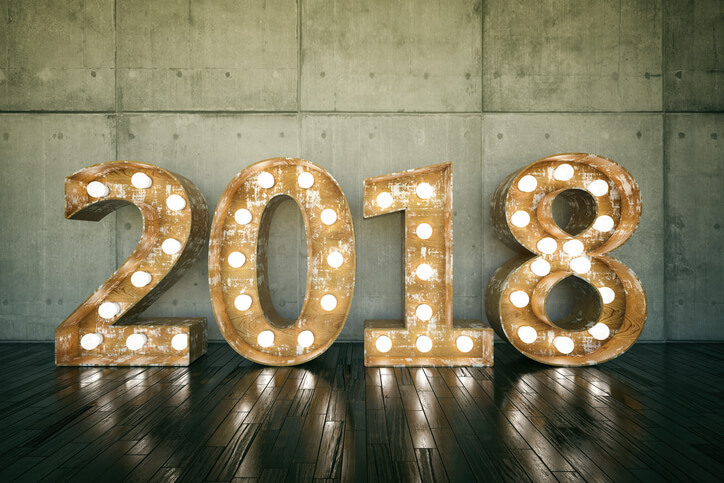 January 25, 2019 2018 - A Year in Review A look back at 2018 events and accomplishments. 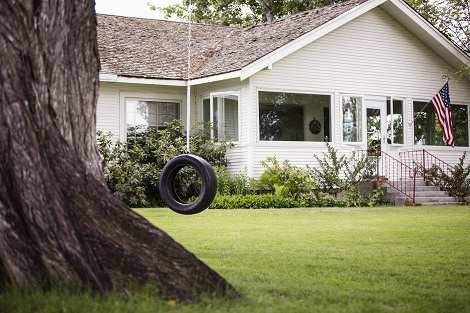 January 18, 2019 NAR Asks Trump Administration to Reopen Rural Loan Program The National Association of REALTORS® has asked the Trump administration to jump-start the Rural Housing Loan Program, which has been unable to process mortgage applications since the partial federal government shutdown began nearly a month ago. 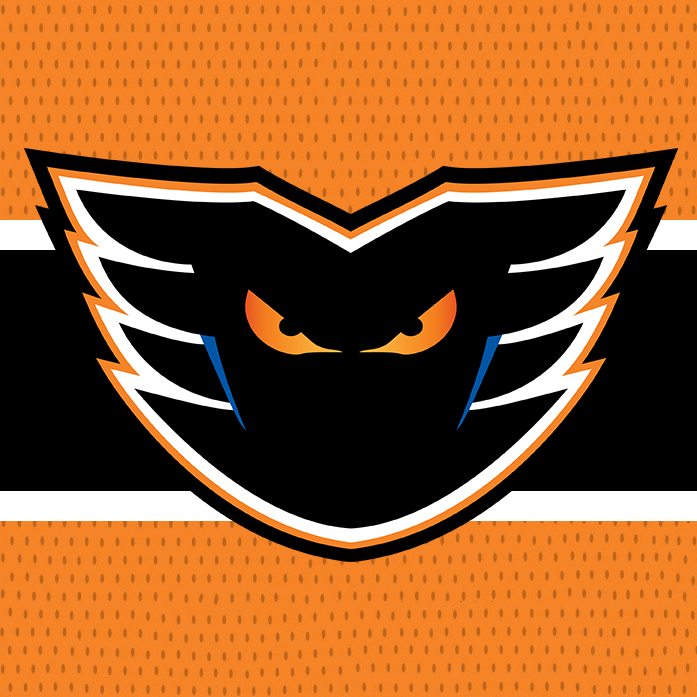 January 18, 2019 GLVR Member Discounts (Phantoms and PPL Center) As a member of the GLVR, please enjoy these discounted offers to the Lehigh Valley Phantoms, as well as the Harlem Globetrotters! January 18, 2019 Update on new Supra eKEY app release We are excited to share an update with you on the release of the new Supra® eKEY® app. The rollout is going well and thousands of key holders are updating their app each day. January 15, 2019 December Data Shows Inventory Will Improve in 2019 The Greater Lehigh Valley REALTORS® reported December data showed that inventory will improve in 2019. To Listen or Not to Listen: Does a homeowner have a right to “listen in” on a showing? January 11, 2019 Chris Raad Inducted Into PA RPAC Hall of Fame PAR Treasurer and former GLVR President, Chris Raad has been inducted into the PA RPAC Hall of Fame. 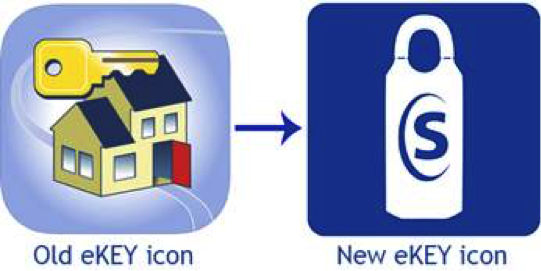 January 11, 2019 IMPORTANT INFORMATION FOR SUPRA EKEY USERS Supra is pleased to announce that we are beginning the release of the new Supra® eKEY® app for iOS (iPhone®) users on Monday, January 7. 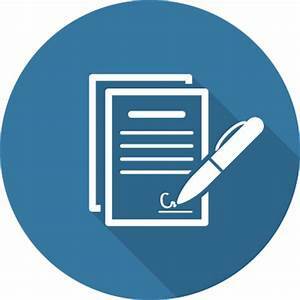 January 03, 2019 Updated and New Standard Forms Are in Effect this Month! Beginning this month, the Standard Forms Committee of the Pennsylvania Association of Realtors (PAR) has made changes to several existing forms, and have added one new form. January 03, 2019 Flood Insurance Extended Until May 31 Congress passed an extension of the National Flood Insurance Program until May 31, avoiding a lapse that would have impacted closings throughout the nation. The President is expected to sign the bill. December 17, 2018 Mention GLVR at Barnes & Noble to Get a Discount! The Promenade Shops at Saucon Valley Barnes & Noble is offering 20% off to GLVR members when you mention GLVR at that specific location. December 13, 2018 November Data Shows Low Unemployment Helping Housing Industry The Greater Lehigh Valley REALTORS® reported November data showed that low unemployment the U.S. is helping the housing industry as 2018 begins to come to a close. 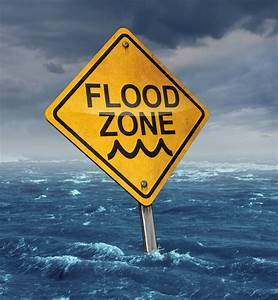 December 03, 2018 Flood Insurance Extended Two Weeks While Longer Extension is Considered The U.S. House of Representatives and Senate today passed a two-week extension of the National Flood Insurance Program, avoiding a lapse tomorrow at midnight. The President is expected to sign the measure. November 14, 2018 October Data Shows Calm, Balance Settling Over Housing Market The Greater Lehigh Valley REALTORS® (GLVR) reported October data showed that a trend of market balance is emerging as we approach the end of 2018. October 29, 2018 GLVR Collecting Coats for Panther Valley Students The Greater Lehigh Valley REALTORS® will hold a coat drive now through the end of the year to benefit students who attend the Panther Valley School District in Carbon County. October 19, 2018 GLVR Members Choose The Association's 2019 Board of Directors The Greater Lehigh Valley REALTORS® is happy to announce who has been elected to serve on the Board of Directors beginning in 2019. 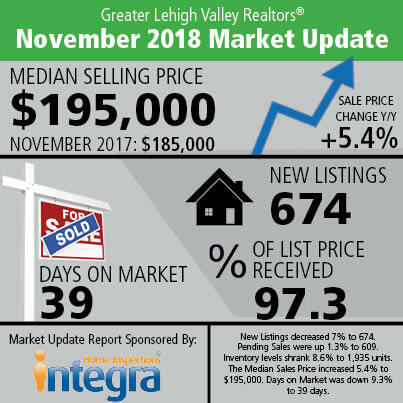 October 15, 2018 Lehigh Valley Housing Market Wraps Up Summer on a Solid Note The Greater Lehigh Valley REALTORS® (GLVR) reported September data showed continued buyer demand and sales excitement, despite the usual end-of-year cool down. October 11, 2018 Updated Pennsylvania UCC Now in Effect REALTORS®, homeowners, contractors and building tradesmen are reminded that an updated Pennsylvania Uniform Construction Code went into effect on October 1, 2018. September 24, 2018 GLVR to Support Upcoming JDRF Walk in Allentown The Greater Lehigh Valley Realtors is walking and raising money to end type 1 diabetes (T1D). September 21, 2018 Managing Stress Can Lead to Success Mental health professionals recognize that a certain amount of stress is necessary for people to succeed at any task. 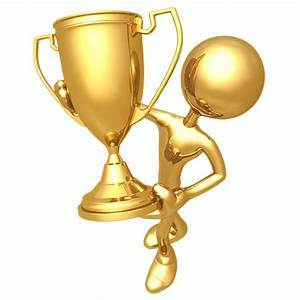 The Yerkes-Dodson Law says that human performance improves with physiological or mental arousal. September 14, 2018 Lehigh Valley Homes Spent an Average of 30 Days on the Market in August The Greater Lehigh Valley REALTORS® (GLVR) reported August data showed that while home prices are at or approaching record highs in many markets, mortgage default and foreclosure rates sit near historic lows. 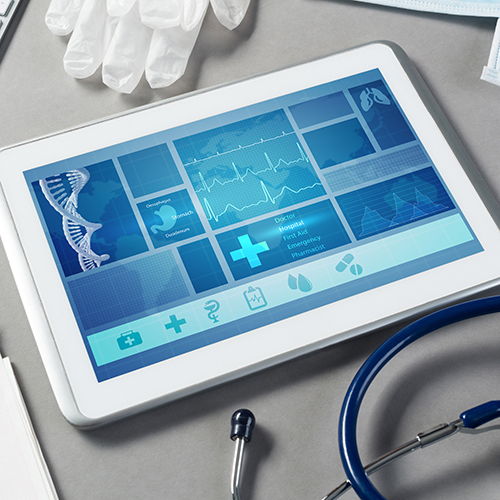 August 24, 2018 FREE Wellness Expo in Bethlehem The Greater Lehigh Valley REALTORS® (GLVR) will hold a FREE Wellness Expo -- Beyond Healthcare: Taking a Proactive Approach to Personal Wellness -- on Wednesday, September 12, 2018, at the ArtsQuest Center at SteelStacks in Bethlehem, Pa.
August 23, 2018 Buyer Beware: Craigslist Rentals Is that Craigslist rental the real deal or a scam? 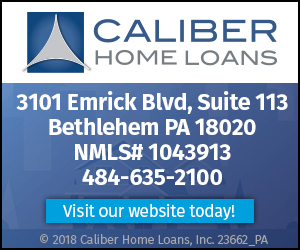 August 14, 2018 Lehigh Valley Home Prices Continue Upward March The Greater Lehigh Valley REALTORS® (GLVR) reported July data showed a continued upward march of home prices as housing demand continues to outpace what is available. July 24, 2018 Tips for Buying and Selling a Home Buying or selling a home is a big commitment. 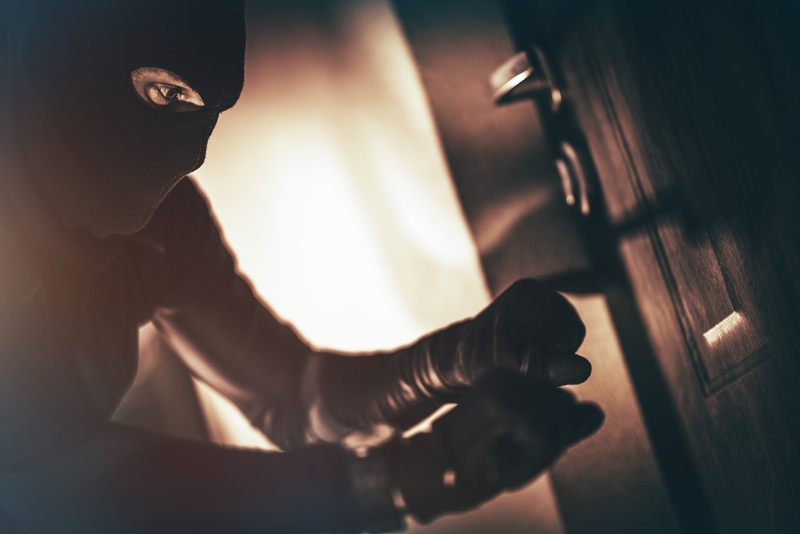 It’s important to be prepared no matter what side of the transaction you are on. July 12, 2018 Lehigh Valley Home Prices Reaching Toward 2007 Levels The Greater Lehigh Valley REALTORS® (GLVR) reported June data showed buyer competition manifesting itself into quick sales above asking price. July 10, 2018 GLVR Launches New Website, Member Portal The Greater Lehigh Valley REALTORS® (GLVR) is excited to announce the roll out of a new website and Member Portal. July 02, 2018 Art & Architecture: When the Two Collide, City Growth Prospers Identifying their preferences for the type of home and neighborhood to live in is typically among the first things potential homebuyers do. Debating between the convenience of a short commute versus the spaciousness of suburban living can be challenging when deciding upon the right home. June 13, 2018 Lehigh Valley Sees Homes Selling in just 41 Days The Greater Lehigh Valley REALTORS® (GLVR) reported May data showed more of the same but with the addition of improved buyer confidence that is due, in part, to payrolls trending upward and unemployment trending downward month after month in an extensive string of positive economic news. 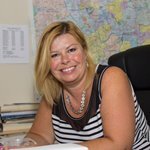 June 12, 2018 GLVR Board Member Selected to Participate in LeadershipPAR Program Kathy Gregory, a Realtor® with Coldwell Banker Heritage Real Estate and a member of the Greater Lehigh Valley REALTORS® Board of Directors, was selected to participate in the 2018-2019 LeadershipPAR Program. The Greater Lehigh Valley REALTORS® (GLVR) reported April data showed a spring housing market in Lehigh and Northampton counties trying to come alive as the battle for inventory continues. Carbon County, meanwhile, had an impressive month. 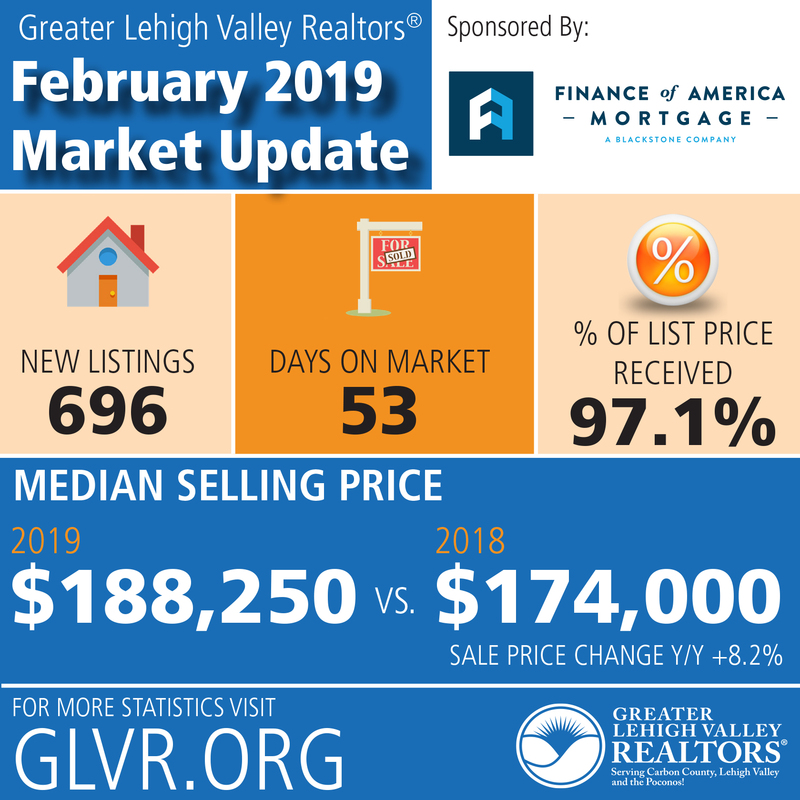 The Greater Lehigh Valley REALTORS® (GLVR) reported February data showed the Lehigh Valley following national market trends for residential real estate, including lack of abundant inventory, steadily upward movement of home prices, and year-over-year declines in home sales. The Greater Lehigh Valley REALTORS® (GLVR) reported September data showed a modest month after home prices reached a near-decade high in August. The Greater Lehigh Valley REALTORS® (GLVR) reported August data shows a median home price that hasn’t been seen in nearly a decade. This is caused by the continuing trend of low supply and high demand. The Greater Lehigh Valley REALTORS® (GLVR) reported July data shows that the shift to a predominantly seller’s market is mostly complete. The Greater Lehigh Valley REALTORS® (GLVR) reported June data shows that the inventory slump is driving up home prices and sellers are almost always receiving asking price. June 14, 2017 Inventory Shortage Doesn't Quell Optimism for Summer Home Buying and Selling The Greater Lehigh Valley REALTORS® (GLVR) reported May data shows that, although we continue to battle an inventory shortage in the Lehigh Valley and much of the country, optimism remains high for a successful summer for buying and selling homes. May 12, 2017 First-time Buyers Feeling Pinch of Low Inventory, Higher Prices The Greater Lehigh Valley REALTORS® (GLVR) reported April data shows that the squeeze on inventory may be putting prices just out of reach of first-time homebuyers, but the market remains strong as we close out the second month of spring. April 11, 2017 Greater Lehigh Valley Real Estate Market Sees 1st Quarter End on a High Note The Greater Lehigh Valley REALTORS® (GLVR) reported March data shows that we can comfortably consider the first quarter to have been a good start for residential real estate in 2017. March 14, 2017 Greater Lehigh Valley Real Estate Sees Heavy Lean Toward Seller's Market The Greater Lehigh Valley REALTORS® (GLVR) reported February data shows that the start of the year ushered in a wave of good news with a hot stock market, higher wages and an active home sales environment. February 14, 2017 Winter, Low Inventory Slow Down January's Real Estate Market The Greater Lehigh Valley REALTORS® (GLVR) reported January data shows that sale totals inevitably started off slow, and may continue to do so in the first half of the year, due to ongoing inventory concerns. January 12, 2017 December Real Estate Market Sees Home Prices Rise as Inventory Continues Slump The Greater Lehigh Valley REALTORS® (GLVR) reported December data shows that most of 2016 offered the same monthly housing market highlights. The number of homes for sale was drastically down in year-over-year comparisons, along with days on market and months of supply. Meanwhile, sales and prices were up. December 13, 2016 Consistent Lehigh Valley Housing Market Sees Inventory Down, Higher Prices, Fast Sales The Greater Lehigh Valley REALTORS® (GLVR) reported November data shows that, as we we’ve seen with regularity throughout 2016, inventory was down, homes were selling in fewer days, and homes were selling for higher prices. November 14, 2016 Lehigh Valley Housing Market Continues Battle Over Inventory The Greater Lehigh Valley REALTORS® (GLVR) reported October data shows that, as we enter the final quarter of 2016, not much has changed since the year began. 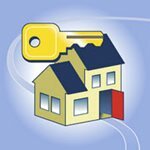 October 16, 2016 Closed home sales in the Lehigh Valley see slight boost as demand booms The Greater Lehigh Valley REALTORS® (GLVR) reported September data shows that, as anticipated at the outset of the year, demand has remained high through the first three quarters of 2016, propping up sales and prices despite heavy reduction in inventory and months of supply. September 13, 2016 Closed home sales in the Lehigh Valley cooled off during August; could be the norm for remainder of 2016 August data shows dwindling inventory numbers are beginning to adversely affect the valley’s real estate market — cooling down the sales hot streak the market’s been riding most of the year, but luckily not extinguishing rising prices. August 05, 2016 Lehigh Valley homes are selling faster than they have in the past several years, despite rising prices The Greater Lehigh Valley REALTORS® (GLVR) reported July data that shows the valley’s real estate market took off like a firework, with homes staying on the market for far fewer days, even as home prices rose in many communities. July 13, 2016 As Predicted: Greater Lehigh Valley Housing Market Continues to Sizzle The Greater Lehigh Valley REALTORS® (GLVR) reported June data shows the Valley housing market triumphantly ended the first half of 2016 on a high note — riding a wave of positive transaction figures and sales activity that has been gaining steam since the first of the year. July 07, 2016 How to Host a Sizzling Summer Open House There are so many reasons why summer may be the perfect time to put your home on the market - families are trying to settle into a new place before the school year starts and buyers have their tax refunds firmly in hand. But with so many others reaching the same conclusion, how do you make your home stand out? June 15, 2016 Second quarter of 2016 proves to be an equally rewarding period for home buyers and sellers The Greater Lehigh Valley REALTORS® (GLVR) reported May data shows that all the early-year forecasts were correct — spring of 2016 has been a vibrant period for both home buying and selling, often with quick multiple offers that are near, at or even above asking price. May 13, 2016 A healthy real estate market continues its resurgence, fueled by favorable economic conditions The Greater Lehigh Valley REALTORS® (GLVR) reported April data shows that as predicted at the beginning of the year, the valley’s real estate market is continuing the success of 2015 well into 2016. April 13, 2016 Despite another month of falling inventory numbers, home prices remain affordable March data shows the number of homes for sale on the market continues to shrink, but despite the decreasing inventory and a strong homebuyer demand, home prices have remained relatively steady. March 14, 2016 Housing Market Enters March Like a Lion Despite Inventory Concerns The Greater Lehigh Valley REALTORS® (GLVR) reported that the February data shows the local housing market is doing well despite a dwindling inventory of homes. February 12, 2016 Housing Market Kicks Off 2016 Sure and Steady The Greater Lehigh Valley REALTORS® (GLVR) reported that the January housing data solidifies predictions that both prices and home sales should be on the upswing for the year. January 12, 2016 Healthy Housing Market Accepts Rate Increase The Greater Lehigh Valley REALTORS® (GLVR) reported that the December data shows that the housing market is willing to accept the much-anticipated rate increase with continued optimism.